A couple of weeks ago I wrote about the importance of starting to invest now, even if you don’t know what you’re doing. The main message of that article was how unimportant your returns are during those first few years of investing, so even if you do poorly you’ll be at an advantage simply from having started. In other words, don’t be afraid to dive into investing, no matter how unsure you feel about it. 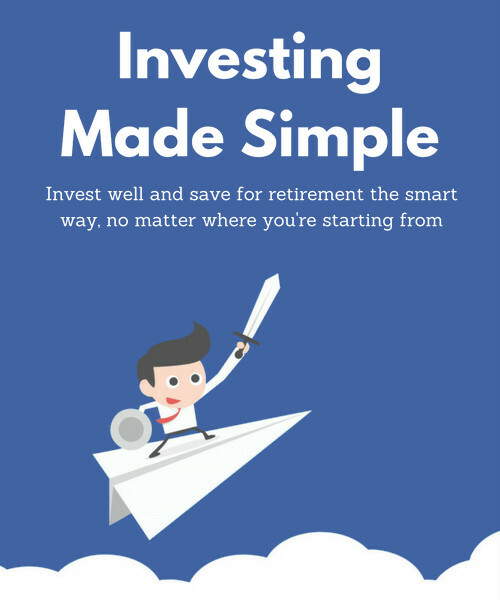 Quick note: For more in-depth, step-by-step guidance through creating your personal investment plan, check out the guide Investing Made Simple. This advice is nothing new, but you hear it so often because it’s true. If your employer offers a 401(k) and will match a percent of your contributions, that’s far and away the best investment return you could receive. A typical matching program is something like matching 50% of your contributions up to 6% of your salary. In plain English, that means that if your salary is $50,000 and you contribute $3,000 to your 401(k) (6% of your salary), your company will put in another $1,500 (50% of your contribution). Any additional contributions you make will not be matched. The reason this is so great is that it’s an immediate and guaranteed return on your investment. In the long run, you might expect the stock market to return somewhere around 8% per year. But that’s not guaranteed. Any employer match will almost certainly be more than an 8% return (it’s 50% in the example above), and it will likely be much more stable than the stock market. (Though you should be aware of any vesting rules, which are the subject of another post). Even if you know nothing about investing and have no idea what investments to choose within your 401(k), this is such an easy win that it makes sense to get it set up as soon as possible. As you learn more about investing (see below), you can tweak your specific investment choices. But don’t delay signing up for this option if you have it. So now you’ve either set up your 401(k) contribution to take advantage of your employer match, or you either don’t have a 401(k) or simply don’t have a match. What next? Before making any big moves, it makes sense to do a little learning and a little planning. Don’t worry, you don’t have to become Warren Buffett or learn how to trade stocks during your lunch break. But having some understanding of the basic principles of investing will help you make better choices and will ultimately help you earn higher returns. I would start with my beginner’s guide to index investing. That post has pretty much everything you need to know about the investment approach I use myself, and has links to a lot of other useful articles as well. 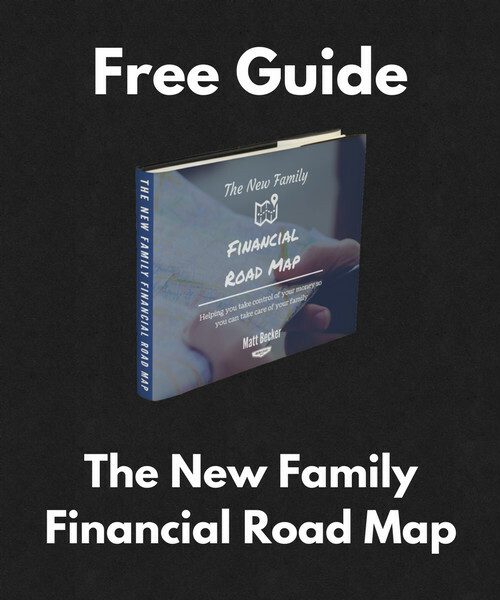 Beyond this site, there are many other places to get some great investment advice. Head over to the Oblivious Investor and start with the “Investing 101” menu at the top of the page. That site is full of down-to-earth and incredibly powerful investment advice. I would also check out the Bogleheads site, starting with their investing start-up kit. They have an extensive wiki you can read through as well as an active forum where you can ask for advice specific to your situation. This paper is an excellent overview on how to set up your own investment plan, or on how to hire an advisor if that’s your preference: Guide to Transparent Investing. If you’re more into books, my first recommendation would be either The Bogleheads’ Guide to Investing or The Bogleheads’ Guide to Retirement Planning. If you’d like something a little more advanced, I would recommend David Swensen’s Unconventional Success. Remember, the goal here is not to learn everything. It’s to get enough of an understanding of the basic principles that you can make decisions you feel comfortable with. 1. Specify what it is that you’re investing for. For most people starting out, the primary financial goal they’re investing for is retirement. But your situation might be different. Defining your goals will help you make some of the decisions we’ll talk about next. Here’s a process you can use to do it: 6 steps towards creating your ideal life. 2. How much do you want to contribute? Use my simple guide to get a ballpark amount that you’d like to be investing on a regular basis. You don’t have to start out making this full contribution, but knowing where you’d like to get to and starting somewhere along that path will be helpful. 3. What’s your asset allocation? You asset allocation is the mix of investments you’d like to use. There is a lot of information about this in that guide to index investing, so I would go back there to help figure this out. Deciding on this ahead of time will help you make your specific investment choices later on. 4. Specify any other factors that matter to you. One factor that really mattered in creating our own investment plan was keeping costs low, since all of the research shows that cost is a powerful driver of investment returns. You might have other things that are important to you. If so, make sure to write them down as part of your plan. Here’s an example of an investment plan if you’d like something to work off of: My personal investment plan. If you put your mind to it, you can probably accomplish all of this within the span of a few weeks. Remember that your initial investment returns are relatively unimportant to the long-term outcome, so the most important thing is to get enough of an understanding that you feel comfortable and then to just get started. In next week’s Part 2, I’ll talk about the steps you can take to implement your investment plan in the simplest, most effective way possible, even if you’re not starting with a lot of money. Full disclosure: The links to books within this post are affiliate links and will earn me money if you purchase the product. As always, I only include affiliate links for products I actually use and have proven helpful for me personally. Matt, awesome advice as usual! Our long-term goal is to create income from dividend-paying stocks, so what we will do is start a small fund with just a few shares, and build up from there. We are starting with $500, an amount we feel safe about losing should the account bottom out. I think that’s important, at least for us, to invest no more right now that we’re comfortable losing. I like the approach of starting small when you’re not fully comfortable. It’s much better to take your time and get acclimated than to dive in headlong and end up scared off. I think you guys will be great. When it comes to busy 20-somethings the most important thing to do is to get started. As you mentioned, taking advantage of an employer 401k match is a great first step. You might not have time to research investment options 20 hours a week (nor would you want to if you did have time!) but simply starting to contribute is key. This is a great “first article” to read on investing, well-done Matt! Absolutely. It’s all about getting used to making those contributions. And really, all else is pretty much moot compared to an employer match. There just isn’t a better deal out there. 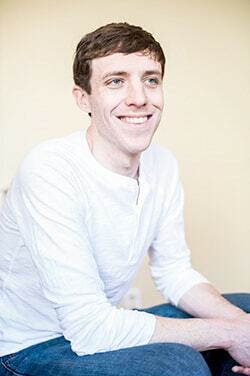 Nice article Matt! The thing I saw every day was people simply not knowing where to start or how to do it. So much of it comes down to education and finding the right places to get it so they c understand it. I like many of your suggestions and would also include Random Walk in there as well. A Random Walk Down Wall Street is a great book as well. There is really a lot of good information out there, you just have to seek it out. No problem Alexa. Helping with this kind of thing is really what I love most. I think next week’s follow-up will probably answer a few more of your specific questions, in terms of where you can look to start without a lot to contribute at first. Great advice! I think a lot of beginnings are intimidated with investing and never start. This is a great guide to get them started. I’m a big fan of the boglehead’s guide and their investment philosophy. It is advice that anybody, even beginners can follow. Absolutely Andrew. The simplicity is really a powerful thing, both in terms of ease of use and in terms of the results. Learning is the key to everything. Not only does it give you a vocabulary and a basic understanding but it also inspires you to start by demystifying the whole process. Khan academy has a great series of free online videos that explain the basics step by step. Oh nice! I’ll have to check out the Khan videos. I haven’t seen the investing ones but I’ve really liked some of the other videos, particularly on the math behind the buy vs. rent decision. I am a big fan of the Bogleheads Guide to Investing. It’s a great book if you wanted just one simple guide for an average investor to get better than average results. I think people are intimidated by investing, and for good reason given all of the crazy marketing and doomsday news reports out there. If I can point just a few people in the direction of the simple ways to invest effectively, I’ll be very happy. 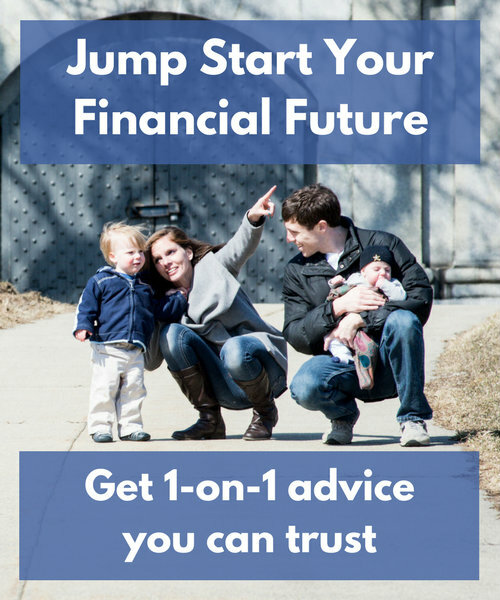 401k is the best place to start, agreed! I also read a bit about index funds using the book “Millionaire Teacher”, and have put together a reading list including “The Four Pillars Of Investing” and “A Random Walk Down Wall Street”. I agree with you on your last point to an extent. While I hope almost everyone ends up with mutual funds, I think that some level of understanding is important in terms of actually sticking with a strategy. Someone who blindly does something because they heard it was good is much more likely to change their strategy when it isn’t doing well. I think if you have a little bit of education and understanding it will help you stay the course. Right! I didn’t mean to not do some research and understand your risk tolerance and how a particular fund moves within a given market, but simply to do that within index funds. That book I suggested above helped educate me on the option of low fee funds, AND gave me a strategy for how to invest in those based on my goals and tolerance. Guess I should have just said that in the first place. Hah! Haha, no worries. There are so many good books out there. I haven’t heard of the Millionaire Teacher but I’ll have to check it out. I love the Zig Zigler quote at the beginning of this post! I totally agree that the most important thing about investing, especially in your 20s, is to start! I’ve not read the Bogleheads Guides but will have to look into that, as we are more book people when it comes to investing. Thanks for the great post! It is a great quote. Very applicable to just about any aspect of life. Good stuff Matt! Keeping it simple is really the best strategy for beginning and even seasoned investors. Too many people are fearful of making a wrong mistake when they start investing. In reality, with a little education and some basic investments in some low cost index funds, it takes some doing to really mess investing up. Stay consistent and disciplined and you will get your returns as the market gets theirs. It’s been proven over history. Yep, it’s been proven over and over again. Too bad it’s so damn boring. If there was a little more excitement to it I think more people might be willing to stick with it. Maybe we need to CGI in some explosions or aliens or something. The best thing anyone can do to get started is just buy a conservative mutual fund and see what happens. That’s exactly how I started off and it got me very comfortable with modest ups and downs. After I became good with that, I was ready to start taking on more risky propositions. I like the idea of starting moderately as well. Rick Ferri talks about the flight path approach, where you basically start conservatively and slowly move your way towards a more aggressive approach as you gain experience and comfort. I think that’s a good way to go about it. Great advice! I’m just starting to invest a tiny bit while still mostly attacking my debt, and I seem to know mostly the ‘right’ things to do but often not as many details as to the ‘why.’ I loved the detailed post and explanations, makes me feel more secure in what I’m already doing! Glad to hear you’ve started even while still paying off your debt. Just building up the habit and comfort level is a really great start. Excellent post as always! This is so informative and helpful – even for those of use who think we’ve got it figured out 😉 I think possibly the most important point you made was at the very end there, that if you put your mind to getting these things going, you can have these important accounts and investments set up within weeks. That is so important for people to understand, because I think a lot of people put off opening their accounts and starting to invest because it seems so tedious and time-consuming. But you just need to bite the bullet and start, and sooner rather than later! Exactly. Just getting started is so important, and really opens the door to learning and making adjustments as you go. You definitely won’t get it “right” the first time (though there really is no “right”), but you’ll never get anywhere if you don’t get started. Great article. I have not started yet but I really want to start investing. One of the main problem I had was understanding the whole investing process and you are really clearing things up. Thank you for the resourceful links too. Glad to hear it was helpful Demaish. I think next week’s post will be helpful as well in terms of specific ways to start without a lot of money. But don’t be scared to make mistakes. Everyone does and in those first few years it really doesn’t matter much anyways. When I first signed up for my office’s retirement plan, I had no clue about anything. I read an article is some chic magazine (like maybe Glamour?) that said if you have no clue, put 50% in whatever fund your plan has for total domestic stocks, 25% in total international stocks, and 25% in a total bond fund, so that’s what I did! As I’ve gotten smarter about investing, I have changed a bit, but honestly not all that much. I added some in a REIT fund and lowered my stock portion a bit because I’m older. Now you can pick a target date fund that pretty much does the same thing. Ignorance is no excuse! Haha, I love that an article in Glamour had such solid investment advice. Just goes to show that it really CAN be simple! Like you, I’ve deviated from that standard advice, but more out of my semi-control freak nature, not because of anything too profound. I would be served just as well with a plain vanilla target date fund. Great post Matt. When I wanted to start investing outside of my 401K, I just did it. I jumped in and started to learn about it. It does take some time, but if you can’t get anywhere until you do it! Exactly. You learn much more effectively by actually getting active with it. There’s only so much reading you can do. Great post, Matt! Not knowing where to start and being scared of making a mistake is why so many people don’t start investing. They make investing more of a bugaboo than it really is. 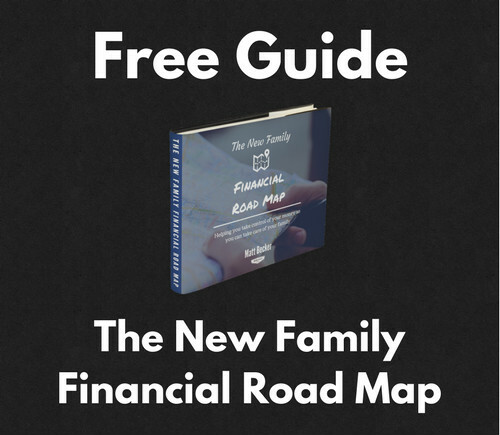 Yes, you can make it complicated but the average person does not have complicated financial situations and has fairly simple goals of retirement, buying a home, putting their child through college. 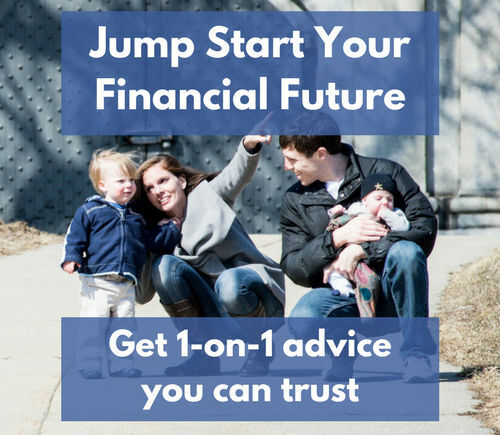 401k are a great place to get started. You can’t beat a company match and they really make it easy for you to dip your toe into the investing world. Agreed Shannon. There’s an aura of complexity around investing that just doesn’t have to be there. A 401(k) is almost always the easiest way to get started, especially if there’s a match. Great tips as always! I really enjoy reading your posts. I completely agree with you that the initial investment returns are relatively unimportant to the long-term outcome, so the most important thing is to understand enough to feel comfortable and then get started. 100% agree. You can only get so comfortable by reading. Eventually you have to dive right in. And I’m a huge fan of automating all kinds of savings. It makes it much more likely to actually happen and it feels much less like you’re actually “losing” the money from spending.